As the analytics reflect, 70 % users of Tumblr or Tumblrogs are of 16 to 34 years. Therefore, one has to work upon how their brand is going to benefit from Tumblr posts. The purpose isn’t just to create authentic content and get it re-blogged (also called ‘Dofollow’ on Tumblr) as much as possible, but to create awareness of your brand is how it must be implemented to achieve. Never plagiarize and avoid long texts rather include GIFs, memes, quotes, which isn’t hard to produce; so many graphic designing tool are available. To forget to add a link while posting on Tumblr is like forgetting to give your visiting card to a possible customer. However, selecting the right mode of content i.e. text, photo, quote, etc. for your post is a tip that strategist don’t think much about, but it looks good on the users’ dashboard and also reflects your sincerity as a marketer. Tumblr is an absolute organized platform when it comes to categorization unlike Facebook. It focuses on tagging and hence it becomes an advantage in reaching out to the audience. Things are easy to notice as so many backlinks keeps on adding to your post and if tagged right, no other platform can get you the target audience like Tumblr. Promotions like Facebook and Twitter offer is exactly what Tumblr does under Sponsorship, not just a post but you can go with sponsoring your entire blog. It’s quite a smart move to begin with as audience must see your presence. 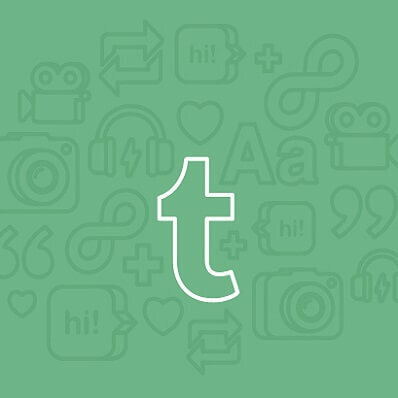 Unlike Facebook, Tumblr keep things sorted out and ‘Dofollow’ feature really boosts up the rate of readability of a post, which is a positive outcome marketers look for. Blog has to be updated with new themes frequently; purpose is to keep visuals appealing and content interesting. Hence, sensible content must be posted and good humor is always appreciated, GIFs and memes or quotes must be posted or re-blogged especially if it concerns your brand or is getting viral, then be one of the contributors. Plus, do not underestimate the intelligence of your audiences; they are smart and wait to participate in interactions. Therefore, all comments must be answered instantly if possible, no feedback must be ignored.